Justine Handelman is vice president, legislative and regulatory policy, for the BlueCross BlueShield Association (BCBSA), a national federation of 37 independent, community-based and locally operated Blue Cross and Blue Shield companies. The Blue System is the nation's largest health insurer covering more than 105 million people – one-in-three of all Americans. It is the largest single processor of Medicare claims in the nation, and holds the world's largest privately underwritten health insurance contract – the 5.3 million-member Federal Employee Program (FEP). Handelman has more than 20 years of experience in providing strategic analysis, policy development, and federal representation on legislative, regulatory and federal policy issues pertaining to public and private healthcare. 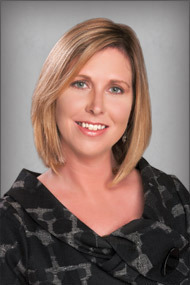 She joined the Blue Cross Blue Shield Association in April 2001. Handelman oversees federal legislative and regulatory policy development for BCBSA, working on a broad range of issues important to Blue Cross and Blue Shield companies, including healthcare reform, health information technology, government programs (Medicare, Medicaid, SCHIP, FEHBP), and delivery system reform. Prior to joining BCBSA, Handelman was the director of the Health Care Practice Group in the Government Relations Division of SmithBucklin. In this capacity, she was responsible for the day-to-day government relations activities for several non-profit professional medical specialty societies and healthcare organizations. Prior to joining the Smith, Bucklin team, Handelman served as a senior legislative associate of MARC Associates, Inc.
Handelman provides analyses of the evolving private and federal healthcare systems. She works with federal officials, congressional members and key stakeholders on a variety of public policy issues. Handelman has assisted in developing and organizing grassroots programs focused on healthcare issues and provided updates and analysis on federal health developments through written reports and articles for several publications and speaking engagements.